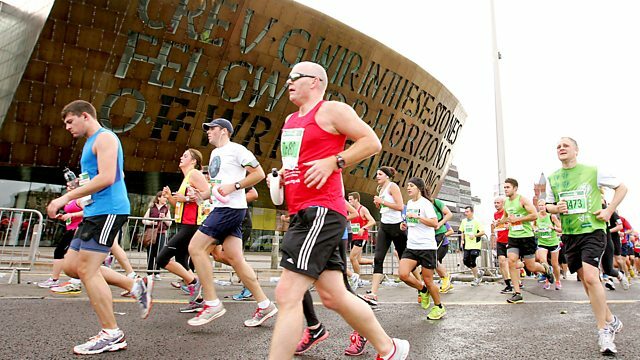 For the first time, the Cardiff Half-Marathon is televised live. Jason Mohammad presents coverage of the UK's second-largest half-marathon from outside Cardiff Castle. For the first time, the Cardiff Half-Marathon is televised live. Jason Mohammad presents from outside Cardiff Castle. The race is the UK's second-largest half-marathon with over 20,000 competitors taking part, and this year's event incorporates the UK trials for the World Half-Marathon Championships to be held over the same course in March 2016. Could you run a half marathon? Find out how to get to the finish line with Gareth 'Alfie' Thomas. The latest news, results and analysis.